Collaboration to share expertise will significantly increase shelter animal lifesaving across the U.S.
Pleasanton, CA --Maddie's Fund®, a national family foundation established by Dave and Cheryl Duffield to revolutionize the status and well-being of companion animals, has awarded a three-year $4 million grant to Austin Pets Alive! to support Maddie's®Lifesaving Academy at Austin Pets Alive! and Austin Animal Center in Texas. Over the next three years, the grant will provide nearly 2,000 animal welfare workers across the country the opportunity to learn on-site from leaders in Austin through 18 apprenticeships and 3 master classes. The goal is for students to take what they've learned at this training academy and apply it in their own communities. An array of learning topics offered will cover everything from medical and behavior to foster care and fundraising and more. "The City of Austin is a model city for lifesaving and is important to both our movement and the country," said Lisa Ward, Co-Director of Education at Maddie's Fund. "The ripple effect of lifesaving education spreading to communities across the U.S. will be exponential. This is just one more step in our goal to help ensure all of the dogs and cats in America find a loving home or habitat." 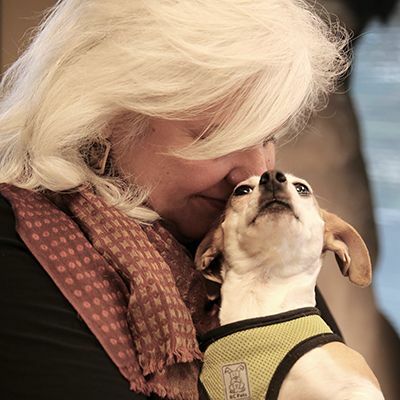 "Maddie's® Lifesaving Academy is critically important to saving animals across the country," said Dr. Ellen Jefferson, Executive Director at Austin Pets Alive!. "While we save around 7,500 pets in our own shelter annually, training others to do true lifesaving work in their own communities has a much larger and lasting impact. And our leaders love sharing what we know to help increase lifesaving across the country." The three-year grant will fund everything from staff positions, travel stipends for students, supplies and infrastructure for Maddie's® Lifesaving Academy. "We are so grateful for this opportunity to help eliminate the needless killing of pets across America, thanks to Maddie," saidLeeAnnShenefiel, Interim Chief Animal Services Officer at the City of Austin Animal Services Office. "We know that the impact of Maddie's® Lifesaving Academy will be far-reaching, and our expert staff is excited to help other communities in their journey to No Kill."